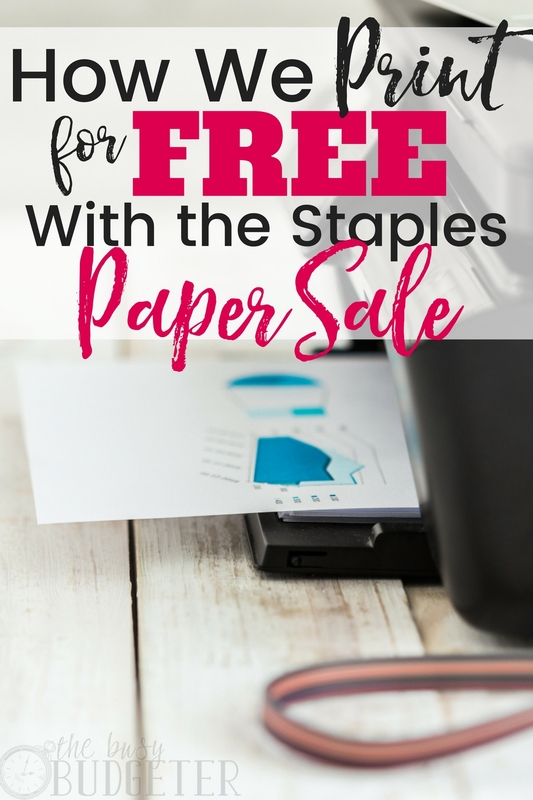 How We Print For Free: Print for Pennies with the Staples Paper Sale! Get cheap printer paper—a penny a pack—at the Staples Paper Sale the first week of August! Mark your calendars NOW! As a mom and a blogger, let me tell you we go through a lot of printer ink and paper at our house, but I never worry about the cost because I’ve figured out how to print at home almost for free. I'm obsessed with workbooks, so this printing hack is a lifesaver! It’s no secret—printing’s expensive. If you go to your local printshop, you can pay $.12-.15 a page for black and white printing. For color printing, you’ll pay way more—up to nearly a dollar a page. With a 50-100-page workbook you’re looking at a very expensive project. Well, at our house we literally print all we want for free (or practically free). I’ll tell you how! We wait until the best deals on printer paper come along. The very best deal I’ve found is the Staples Paper Sale. Usually, for one week at the beginning of August, Staples offers paper for $.01 a ream or 500 sheets for $.01! The Staples Paper Sale is a door-buster deal for back-to-school, so mark your calendars so you don’t miss out. I buy enough reams to last us through the whole year (usually 5-10) and then we’re set with paper for the next 12 months. If you miss this amazing deal, there’s also great opportunities to buy cheap printer paper during black Friday in November. Black Friday offers the second best deal I’ve found on Staples printer paper. Office supply stores (like Staples) offer crazy cheap printer paper deals just to get people to come in and buy more. Black Friday’s another great time to stock up, especially if you miss the chance in August. Laser printers tend to be much more expensive than ink jet printers, and for good reason: their printing capacity lasts for years on just one cartridge. Fortunately, you can find laser printers for a steal on Craigslist. Typically, used laser printers on Craigslist run well under $50 (sometimes free), and if they’re in good working condition you can continue to print for years. We get our printers for free on Craigslist (we have three commercial sized laser printers in our house right now). Then I simply buy an off-brand laser cartridge. Laser drums and toner are expensive ($100-200/each) BUT they last for years and years for household use. Plus, you never worry about them drying out like ink cartridges can. We can usually get all of the ink for our laser printer for about $200 if we buy off-brand from Amazon. (We just search the model number and choose the cheapest with decent reviews.) The “risk” with off-brand ink (and why people pay premium for name brand ink) is that you runs the risk of gunking up your laser printer. Since our printers are free or super cheap, we aren't worried (and it's never happened…and we've been doing this for years). That $200 is usually the ONLY expense for us printing as much as we want…and like I said, it lasts us YEARS. Using a laser printer can save $400 a year or more in printing costs! If you own an inkjet printer you just can’t let go of, you can still get refills for $10 a pop! In the long run, considering the life of inkjets, it’s not as big a savings as laser. If you use lower ink volume and less-to-print (and already own the printer), then use this trick to save. The secret to saving on inkjet refills? Take your used inkjets to Costco’s photo department. They'll refill them for $10! Go to Costco and you can get your inkjets filled for less than half the price. It’s a great deal! With full printing access for cheap, you can use your printer to save money! 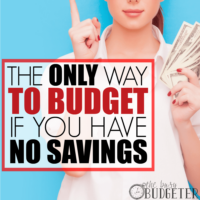 There are all sorts of budget printables to help you get a handle on your finances. 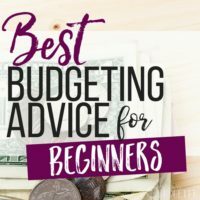 I find writing out a budget by hand is easier for beginners than fussing with spreadsheets and formulas. You can print my free Ultimate Money Saving Workbook: 200 Ways to Reduce Your Spending, Increase Savings and Achieve Your Dreams. 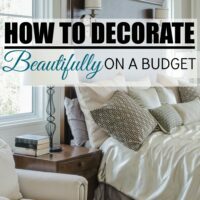 This workbook is a great reference guide to walk you through creative hacks and ways to save money on all sorts of household items. You can also take advantage of low prices on workbooks versus courses. A course may run $100, but there are workbooks that can teach you the same information interactively for a fraction of the price because you have to print it yourself. The 90 Day Budget Boot Camp Workbook, which will walk you through how to transform your finances when you live paycheck to paycheck (in 90 days! ), is a perfect example of this. You can get more information on that here. If you’re working on getting in shape, download the Baby Step Fitness Program Tracker. This will give you the tools you need to get on track with your health and fitness. Plus, you’ll discover ways to work out from home and see progress without spending on a costly gym membership or fitness tracking program. You can also use your printer to get organized. Print cute labels from home for files, boxes and more. If you’re a planner addict like me, but can’t afford to fork out $50 for a fancy day planner, you can use free printables to DIY a planner for under $5! The benefit of a DIY planner is the customization. You can pick and choose the features you want and forget the extra stuff you don’t need. Plus, you can make your planner cute to reflect your personality and style. Free printables can really help you save on SO much stuff, so owning a printer is a worthwhile investment. If you use the Staples Paper Sale to score cheap printer paper and my method for getting an affordable printer you can print for next-to-nothing! So, what are you waiting for? Be sure you don’t miss the Staples Paper Sale to get your cheap printer paper! Remember—the Staples Paper Sale is the first week of August! Mark your calendar now! What methods do you use to print on the cheap? Do you know any awesome printer hacks? I just downloaded the baby steps tracker to keep up with my waist training program☺. Getting a printer is on my list as I do all my printing in my friends house. I will probably take a look through Craigslist, even though I have a phobia of buying stuffs on there. I love this time of year when there are back to school sales! So I wasn’t surprised to see a post on printer paper. It’s one of the best deals we try to take advantage of. Paper in our house lasts a long time, so it’s not uncommon for it to last until the next back to school season. One penny?!?!?!? As a former teacher, I always took advantage of things like notebooks and pencils. But I had no idea their reams of printer paper went on sale as well. Thanks for sharing!! This is a really great resource! 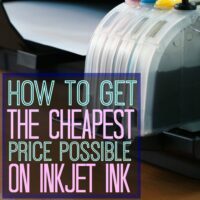 I have always shied away from printing at home because the cost of ink is SO EXPENSIVE! We have a printer but barely use it because of this exact reason. I have tons of printables that I am dying to print out, but between the cost of ink and the cost of getting it printed at a copy shop; I’ve gone without and our poor printer has been gathering dust. I can’t wait for this sale!!! That’s all. This is a truly awesome asset! I have dependable shied far from printing at home in light of the fact that ink is expensive. We have a printer however scarcely utilize it due to this correct reason. I have huge amounts of printables that I am biting the dust to print out, yet between the cost of ink and the cost of getting it printed at a duplicate shop; I’ve done without and our poor printer has been gathering dust. We can print up to 80 pages per week free at our local library from the Internet computers. That’s usually plenty for my needs. After that, the copy machines take a flash drive – there’s a donation box if you choose. I print very little from home. I am a professional photographer .i was planning to buy an affordable printer .i don’t have a heavy use of printer which one should I prefer an inkjet or a laser printer ? ?